Crude oil futures were shunted $2.97 yesterday, finishing the day at $92.97 as temperatures rose between the US and Iran. Israel pointed the finger at Iran for the recent terrorist attack in Bulgaria, and promised to respond with force by putting a strong price on the perpetrators. Another factor was the ongoing conflict in Syria, heightening supply concerns in the Middle East. At time of writing, things haven't changed much, with oil trading at $92.56. There was not much excitement yesterday in the gold futures market, just modest gains of $3.1 pushing the price up to $1581.5. The main pusher behind the price was the tension in the Middle East, which sent risk averse investors towards the safety of the precious metal. Naturally, the main driver for the gold market is still the question surrounding the next round of quantitative easing, will they? won't they? 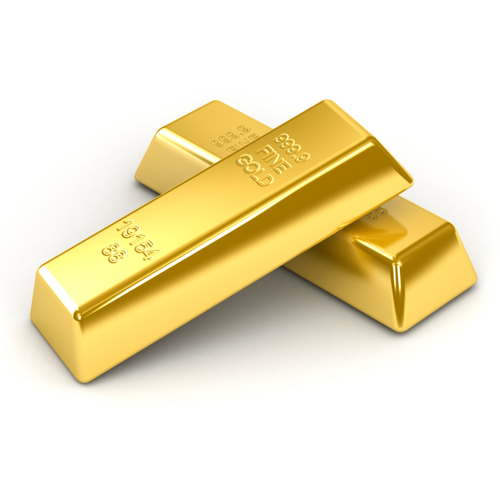 As long as Ben Bernanke keeps his cards close to his chest, gold looks as though it's going to stay range bound. Gold put in a third day of declines as Ben Bernanke maintained his lack of enthusiasm for another round of quantitative easing. Spot gold shed $10.5 to close at $1,573 as traders continued to unwind the inflation hedge trade. Now that further monetary stimulus looks to have been kicked into the long grass, we may soon test the crucial support level of $1,521. The crude oil online spread trading market added to its winning streak yesterday, as EIA oil inventories showed a surprise decline. Analysts' forecasts had expected stocks to have built up an extra 500k barrels on the week, but they actually declined by 800k barrels. The surprise drop saw September crude oil gain $0.63 to settle at $90.17. Gold declined yesterday as Ben Bernanke's lack of enthusiasm for another round of quantitative easing weakened the argument for holding gold as a hedge against inflation. Spot gold shed $6.5 to close the session at $1,582.3, and the precious metal has already been edging lower during this morning's Asian session. Despite the general strengthening of the dollar yesterday, oil prices rose as tensions between the US and Iran continued to escalate. Crude oil futures for August delivery gained $0.79 to settle at $89.22, on fears that Iran's refusal to halt its nuclear weapons development program could develop into a full blown conflict. Gold edged lower on Monday, shedding a mere $3.90 to close at $1,588, despite suggestions that further easing from the Fed might soon be on the way. Instead, it appears that the slowdown in China was the bigger story, as concerns of reduced demand for commodities saw weakness across the metals. The crude oil futures market saw another day of gains as escalating tensions with Iran, and earlier reports of US naval fleets opening fire on another vessel, fuelled bullish momentum. Increased prospects of another round of QE, following weak US retail sales data, also kept the dollar under pressure. Overall, the US crude oil (August) spread trading market added $1.33 to settle at $88.43 a barrel. Gold rose on Friday, gaining $20 to close at $1,588.1, as a risk-on mood descended on markets and weakened demand for the dollar. Despite these gains, the precious metal posted its second consecutive weekly loss on the reduced likelihood of a third round of quantitative easing from the Federal Reserve. Crude oil futures gained on Friday as the US' sanctions on Iran increased the potential for further supply disruption. Missile tests by Iran have also added to the upward pressure on crude prices, as did Friday's general weakness in the dollar. This morning, however, things are just a little softer with Brent trading at $101.25. In the commodities markets, gold fell yesterday as traders were disappointed by the lack of demand for a third round of US quantitative easing. The risk-off mood in other markets also spurred a rush into the dollar, and so the gold market lost $10 to $1,567, although this was well off the lows of $1,554. This morning, the bulls have regained the upper hand and are bidding the precious metal higher to $1,573. Crude oil prices were in negative territory for most of yesterday's session, with Brent struggling to hold above $100 a barrel, as the Fed minutes strengthened the dollar. In the afternoon however, reports that the US is set to impose further sanctions on Iran lead to a sharp rebound on fears of escalating supply disruption. This morning that strength has continued, with Brent adding $1 to $102.00. The gold CFD trading market treaded water yesterday, as early gains made in anticipation of fresh money printing were pared once it seemed that the Fed is likely to hold fire. The bearish sentiment has followed through into today as the precious metal is trading at $1,565 at the time of writing. Crude oil gained ground yesterday, as inventory data showed a much larger-than-expected drop. Data showed that inventories slumped by 4.7 million barrels last week against expectations of a 1.5 million barrel fall. Brent crude oil did manage to move back above $100 a barrel, but it wasn't able to hold onto that level and is now at $99.50 this morning. Gold eased yesterday as a bearish outlook on equity markets and a stronger US dollar sapped appetite for the precious metal. After touching $1,600.9 earlier in the session, gold did an about-face and plummeted $34 to touch $1,565.9 before recovering modestly. This morning, that recovery looks to be continuing, with the metal trading at $1,578. Crude oil futures declined over 2% yesterday as the expected supply disruptions from a Norwegian strike failed to materialise. In addition, sentiment surrounding the global economy continued to deteriorate, further reducing expected demand. Despite the negative trajectory, traders are likely to wait on the sidelines until today's crude oil inventories shed more light on the supply situation. As with the stock market indices, the gold market has suffered from a bout of low volumes and narrow trading ranges as it continues to hover around $1,583. The bulls seem to be waiting for the next piece of terrible data from the US to support their view that more stimulus is around the corner. The crude oil market is in a selling mood ahead of today's inventory data, with Brent falling $1.50 to $98.75. Selling pressure is coming from the poor Chinese trade data, which showed a large fall in imports and raised concerns over demand in the world's second largest economy. In commodities trading, the gold market is suffering from a little bit of malaise after last week's worse-than-expected NFP. Whilst the result was poor, it was not bad enough to raise the prospects of more stimulus from the Fed. Gold traders will be closely watching the release of Wednesday's FOMC minutes for any signs that more stimulus is on the cards. The Brent crude oil market dipped back below $100 per barrel on Friday. However, it is seeing some interest this morning and it has climbed by $0.50 to $98.75. Energy investors will be keeping an eye on the recent bounce to see whether it will break the downtrend or simply present another bearish opportunity to get short.